How many times have you wished you could go back in time for a “Do Over?” Let’s face it, we all have had a “What If?” These types of “Moments” spent second guessing ourselves on a decision we made or chose not to make often haunt us. My husband was unemployed for three years after the real estate crash. His depression over “not knowing how to do anything outside real estate” didn’t help. For three years, our income was cut from his previous yearly earnings of $300-400k to mine alone at $34-62k. My current husband, Matthew also feared that I would leave him and return to either of my exhusbands due to his “going broke” virtually overnight in an industry that had an unstable future. My first and second husbands inherited the businesses their fathers had built. They weren’t any “free rides” either. Both bought out their father’s interest in businesses after working in them for years. Today’s parent that builds a business sacrifices to create a winning investment. For parents who simply “give” their business to their children without making them earn the privilege, the business often fails. Why? Because lazy adult children have high expectations with little motivation. If your children expect you to give them everything you’ve worked and sacrificed for without having to work for it- you’ve got a real problem. Matthew Wortham need not have worried about me leaving him because nothing would have sent me running back to either of my exes. Struggles in a marriage either empower couples or destroy them. I had no plans of remarrying or starting over. Ironically, Matthews father was a millionaire several times over and when his development business failed, his father loaned him $50k and instructed him to “figure out paying it back.” He didn’t “give” my husband money. He had Matthew sign a loan. Parents in the “old days” didn’t enable their kids. Instead, the empowered them by pushing them out of the nest and forcing them to support themselves. There weren’t any Boomerang Kids in the 60s & 70s because parents weren’t doormats. Think about it. Cindy and I left “home” at fifteen. We never asked my father or grandparents for money other than one occasion when Cindy’s restaurant burned down while she was pregnant and our electricity was cut off as a result of not having savings because we were paying cash for her medical treatment throughout the pregnancy. My sister was divorced and living with me when this happened and asked our grandmother for $278. Cindy was wearing her wedding ring from Roy valued at well over $4k. Our grandmother told Cindy to forfeit the wedding ring to her and, she would help with the electricity bill. Our grandmother was always greedy. If you had something nicer than her- she wanted it. If you didn’t give it to her, she would either guilt you or harass you so much that you finally gave in or, wait for an opportunity like she did with Cindy. If Cindy had sold the ring, we would’ve been financially “flush” and had electricity but, she trusted the wrong person, our grandmother. There are no grey areas in my life or my thinking. It’s black or white. It’s right or wrong. Cindy and I have been taken advantage of by the people closest to us and, we have trust issues because of it. Not only did our grandmother NOT pay the electric, she also melted down Cindy’s wedding ring and split the diamonds with her daughter, our aunt Shirley. Imagine my sister seeing her wedding ring diamonds on our aunts hand with a matching ring on our grandmothers hand while living without electricity because Cindy couldn’t work while pregnant. I was busy working and trying to pay all the bills. My husband wants a Will before we fly to California next month. Why? MY FAMILY. Matthew is terrified that if something happens to me while traveling with Cindy and the twins that my “family” will show up with pitchforks to wipe our home out. He has reasons for these concerns so, I’m updating my Will to put his mind at ease. My sister also lost all of her wedding gifts to our evil stepmother who suggested storing all of Cindy’s wedding gifts at her and our dads house. “You and Wendy don’t have room for all of those gifts. The entire town of Gordon bought wedding gifts. Just bring them over here and we will store them for you.” Anytime my family offer to do something “helpful,” be on guard buddy because there’s always an ulterior motive. Within one week of Cindy and I storing all of her wedding gifts that filled a two car garage, our evil stepmother, Jo Ann had a yard sale and there wasn’t even a can opener left by the time Cindy and I had the keys to our townhome that ironically, had a TWO CAR GARAGE. We had planned to use Cindy’s wedding gifts to furnish our new townhome that took years to save up and move in but, yet again, our “family” took advantage of Cindy & I. Due to this fact and since Jo Ann took all of the proceeds from the “sale,” Cindy and I furnished our townhome with Goodwill and Salvation Army furnishings with yard sale items thrown in. We couldn’t afford a refrigerator so, we bought ice and milk everyday for Leigh Ann. No one in our “family” cares that by taking Cindy’s wedding ring or by selling all of her wedding gifts that they had posed a hardship on us. Don’t even get me started on our cars. Seriously. I’ve never gotten over my stepmother donating my car without my permission for a tax write off behind my back. A car I’d saved years to buy that I was proud of. It was the first nice thing I had ever had. I will never get over it. She’s dead now and, I’m still not over it. That’s our “family” and why many Cindy’s Quotes are “family” based on Pawning Planners Apparel. If we sound bitter about “our family,” understand my sister and I have damned good reasons for our animosity. A few members of my “family” are so fueled by greed that I wouldn’t put it past them to rob a grave of another relative if they thought something of value had been buried. When our grandfather died, our aunt and uncle showed up with a flatbed. I’m not kidding. I wish I was but, I’m not. “Don’t expect much and you won’t be disappointed.” I will never forget the year Cindy and I were “gifted” a pumpkin. Gifts were rare so rare in fact that this gift was hard to forget. I asked “what we were supposed to do with our gift?” This didn’t turn out well with my grandmother. A pumpkin? Come on. Our grandmother was a shopaholic but, she never bought anything for anyone other than herself unless of course, she was trying to impress someone. One year while freezing to death and starving in Oklahoma, my grandmother sent Cindy and I coats with the tags still on. I doubt she actually bought them herself but, something new to someone who had never had anything new was a BIG DEAL. We were thirteen years old and having something with tags was so thrilling that we never did remove the tags. We covered them with tape to protect them. It would be years before buying something new wasn’t a diary writing moment for either of us. Those coats were the only new items we had been given until leaving home for good. I appreciate things and gestures because in my life they’ve been rare. Something to remember. Something to cherish. Something to be honored that it happened to you. The sort of thing that people who have everything always forget. Gratitude is rare these days but, it shouldn’t be. During both of my first marriages, money was something I never worried about. Amazing isn’t it? I didn’t have to. My bills were paid and I had credit cards, fabulous trips, limos to the airport and vacation homes. New cars, fur coats and luxury? Yes. But, happiness? No. Money can’t buy you happiness. For a person who grew up as poor and hungry as I did, walking away from money and security of my marriages wasn’t an easy choice. I gave up everything for my freedom. Not once but, twice. Leaving my husbands meant returning to the struggle of trying to get by on my own but…it was worth it and I would do it over again. Money won’t warm your heart. Sure, it’s nice to have around but, it won’t comfort you. It didn’t comfort either of my exhusbands. My aunt Nancy tried to change our mothers Trust to benefit herself and her daughter as opposed to my siblings and I. For over thirty years, my siblings and I have fought to protect a trust put in place by my grandmother Tinney and me in 1988. Changing the Conservator to herself, my aunt Nancy thought that changing the beneficiaries in her new role as Conservator would create a windfall for not only her but also, her greedy daughter. My sisters and I fought this and, won. My stepmother once called he because “your dad wants to get your brakes checked.” My dad had never cared about our cars and I should’ve known something was going on but, I didn’t. It was tax season and my wicked stepmother had made too much money. Using me without my knowledge, she acted like my father cared about my car. This particular car was my pride and joy at the time. I had saved up for two years to buy a nice car. Real seats, real leather, a working a/c and the paint all matched too. Going from my $65 junk heap to my beautiful Subaru Wagon (red with black interior) was a major accomplishment for me. Nobody was prouder of a car than I was of that Subaru. Throughout my life, I’ve driven or had every luxury car under the sun but none of them thrilled me like my first nice car did. None of them. Not the Mercedes, not the Hummer, not the Volvo or even the Lamborghini. None of them. They were never really mine. They were vehicles that belonged to my exhusbands. My beautiful demos belonged to the dealership. I was really proud of that car but, my wicked stepmother asked me to drop my car off at my father’s house for this “brake inspection” in order to get her hands on something I was proud of. When I rolled up into the driveway, Jo Ann asked if the title was in the car? I thought it was a weird question but, it would take me years to be suspicious. Really. I wanted to trust people but, these people had a terrible track record. The next day, Cindy drove me over to my dad and Jo Ann’s house to pick up my car. Guess what? It wasn’t there. My Subaru was gone. I had no car. Cindy’s car was an old Maverick. Because our baby brother, Jerry Lee needed a car, dad and Jo Ann “made a deal” with Cindy and I after taking my car and donating it to give them Cindy’s car too so that Jerry could have it. Through two marriages I lost my vehicles and at nineteen, I lost my car to my own family. To say I’m “weird” about owning my own car is an understatement. A car is more important to me than a home. You can live out of a car if you have to. A car is freedom to run. A car gets you to work. I own a lot of things now but, nothing is more important to me than a vehicle in my name with a clear title. Nothing. If only I knew what I know today, I would’ve pressed theft charges but, I was only nineteen and, stupid. Sure, I was devastated but, my “family” didn’t care. As a “consolation prize,” Jo Ann gave Cindy and I her puke green Monte Carlo that was several years older than my Subaru and a cigarette burned pile of $hit.” A tax write off on my beautiful Subaru for my wicked stepmother and at the end of this “plan” to swindle the Texas Twins, we wind up with Jo Ann’s junky green Monte Carlo in exchange for NOT ONE but, TWO CARS? Yep. A week later, Jerry totaled Cindy’s Maverick. I earned my suspicious nature the hard way- experience. I trust very few people and Cindy is the same way. If something were to happen to my current husband, Matthew, I would not remarry. I would focus on myself as opposed to a new husband. My life would be focused on my businesses, travel and family in that order. Marriage requires work and, as I get older, I realize that a large chunk of my life was spent being married to two people who claimed to love me but, certainly didn’t show me that they loved me. Love is sacrifice. Managers and Owners alike cut the hand that feeds them by cutting sales staff commissions. Commission based salespeople are driven by commissions. If you punish your Sales Team for “selling too much,” and cut their commissions, they will eventually leave and find a more lucrative job. If you want to keep good employees, try paying them what they are worth. Cutting commissions is one of the most idiotic management moves I’ve ever encountered. But, it’s happened to me six times in some thirty five years. At Texas Patios, a position I worked for some ten plus years, I was (as usual) the top seller, I was actually called into the office regarding making too much money on my commissions. I was told that my commissions would be cut and an hourly wage of $13.76 would be effective immediately. As a single working mother, this “commission cut” caused a real and very economic impact on my son and I. My $10 an hour plus 5% to 10% commission was 5 to 10 times more income than my $13.76 an hour salary was. So much so that I was forced to leave Texas Patios every night and drive to 1 of 2 two part time jobs to make ends meet. Management didn’t care but, they did when I left Texas Patios for Frank Kent Cadillac. What I Should’ve done when my commission was cut was to leave but, keeping a stable job during a Child Custody battle is essential to proving stability. For years, I worked 2-3 jobs. After winning my custody battle, I eventually left Texas Patios because I couldn’t afford to stay. I went to work at Frank Kent Cadillac earning $80-120k a year Vs my meager salary at Texas Patios. Free luxury car, free gasoline and money in the bank? You bet! True Story. If you are struggling to survive at your job, change jobs. I wish I had learned this early in life but, I did learn it later I life. Loyalty is earned. You can be loyal to your company or organization but, if they are forcing you to go hungry to keep that job, what are you REALLY giving up? Poverty is Hardship. Had my commission not been cut at Yard Art with my third husband out of work, leaving a job that I was comfortable at with a strong client base and fair earnings wouldn’t have been even a consideration. Cutting my commission cut my employers throat. I find it ironic that when managers or owners cut commissions that they expect their best salespeople to continue to be top producers. Seriously. My commission was cut over and over again by employers who accused me of making too much money but, expected top sales from me while I was scrambling for a crust of bread. Salespeople SELL. If a manager IS jealous of his sales staff’s earnings, he needs to find another job. Looking back at my reasons for a job change, I now realize that I should’ve asked more questions and demanded a contract outlying the commission structure and, the benefits at Chair King but, I screwed up by trusting what David was telling me about the benefits of Chair King without showing me any evidence. It was career suicide at the time but, I had no way of knowing that. I trusted the person wooing me, David and I obviously trusted the wrong person. My income was literally cut in half working at Chair King and the benefits were too. Maybe due to stress, I also developed Thyroid Cancer while working at Chair King and the benefit package covered far less than my old package at Yard Art. After a year of going further in debt at Chair King due to shoddy commissions and inadequate healthcare coverage, I went deeper in the hole, so, I quit. If you can’t earn a living at your job because of manager, LEAVE. Save yourself kids. My husband and I sold our home and got out of credit card debt and moved on. We survived the 2nd real estate crash in his lifetime and my mistake of chasing a carrot when a call came through on my cell phone from my former manager who had left Yard Art to go to work at Chair King caught me off guard with what sounded like a “lucrative” job proposal. It’s not well known that fifteen years of my life were spent selling upscale patio furniture. Not throw away big box junk but, the type of furniture that can withstand wind, rain, hail and even bleach. The type of furniture you buy once. Quality patio furniture isn’t cheap-it’s an investment. I knew everything about the products I sold including warranty, special order and more. Long after a sale, Clients often called my cell phone when they needed replacement parts of a squirrel had torn up cushions. I didn’t “forget” my Clients after a sale, I remembered them. Great salespeople aren’t created- they are born. I’ve been in sales all of my life and other than a stupid job move from Yard Art, made my way by being the salesperson that I would want to buy from. I never wanted to go into management because I made far too much money in sales. Throughout my career, I’d been offered management positions and turned them down. Switching jobs after establishing a clientele and seniority was and always will be one of the stupidest things I’ve ever done. But, I learned from my mistake. Luckily, my husband had built our home at cost to close out his development which is how we managed to pull a profit in downturned economy. I’m an overachiever and that crappy job is the reason I started my own business. That’s right. I took a chance of ME. I wasn’t going to make promises to myself that I wouldn’t keep. I was willing to work harder than anyone else and, my bonus was finally having time to spend with my family even though a few of us don’t get along with each other. I’m mainly with Cindy or the twins. I’ve never regretted divorcing both of my ex husbands. It wasn’t a quick decision on either occasion. In fact, I waited ten years to divorce my first husband and six years with my second husband. Neither of them were ever going to change. Realizing this wasn’t easy but, it was necessary. I wasted another five years of my life fighting for custody of my son during my first divorce and two years fighting my second husband for a divorce. Many of you know I’m a twin. We are incredibly close and discussed divorce before running off to the courthouse. Cindy and I both divorced our first two husbands. They were both jealous of our relationship with each other among other issues. If you are marrying a twin or multiple- understand that it’s a “package deal.” Don’t try to separate twins or you may just find yourself on the outside looking in. Cindy and I are both happily married now to our third husbands and have been for years. Experience is a great teacher. I was never afraid of hard work and could always make more money. Maybe not as much as my husbands earned but, they weren’t worth it to me. I filed both times. My ex husbands would have never divorced me and neither ever remarried either. They both promised me a war if I followed through with the divorce and, they both kept their promises. My second husband, left me without a car during our divorce. Since I needed a vehicle to get to work and take my son to school, I decided to apply to a Cadillac Dealership that offered demos as a salesperson. Doing so solved my vehicle issue but, I needed to build my clientele. To do so, I used my experience as a print and commercial model to run my own ads in country clubs. It takes money to make money and I gambled on my ability to sell anything and, succeeded. No one had ever used advertising in the creative way I did to directly market people who could afford luxury cars. I was a pioneer, a survivor and smart enough to know that to succeed at anything, I would need to know everything about the product I was selling. Product knowledge is becoming far less common today but, not for me. If you want someone to buy something you need to convince them why they are making a good investment! Cindy and I have both worked as Brand Ambassadors and Promoters for not only Cadillac but also, Proctor & Gamble, Kodak, and even luxury jewelry and furs. After my first divorce, one of those furs was used as a down payment on my car. Believe it or not, both of my ex husbands left me without a vehicle. Not having a car is a hardship. The fact that both of my exes used this tactic to force me to come home isn’t lost on me. My cars now are in MY NAME. Not because I don’t trust my husband but, because he realizes what I’ve been through. My cars are bought in cash. I do not finance cars. No one is ever taking a vehicle from me again. Ever. 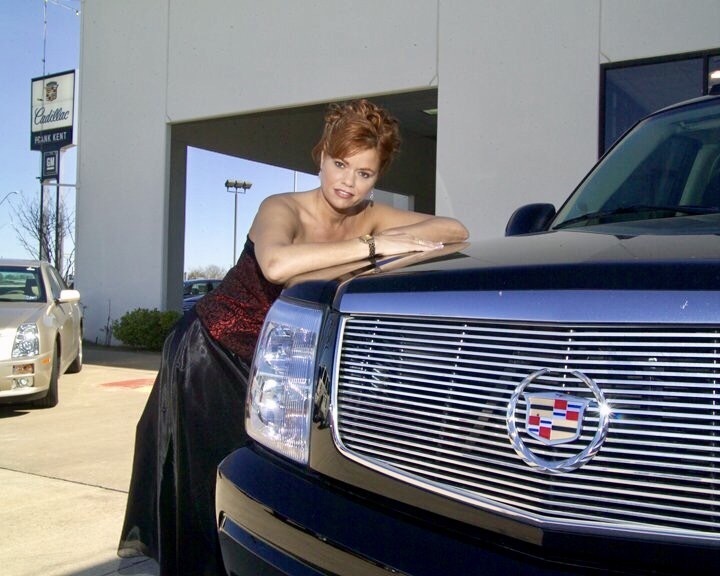 Running my own Cadillac Ads to generate a client base raised a few eyebrows among my competitors on the sales floor. They laughed at my first ad but, they weren’t laughing long. A lot of people ask how much it cost me to hire a photographer and run my own ads at country clubs. Inquiring minds want to know. Advertising yourself is common today but, fourteen years ago, no one in new car sales was doing what I did. Car sales are a cut throat business but, I worked it out. I was so busy with new clients that I worked by appointment. 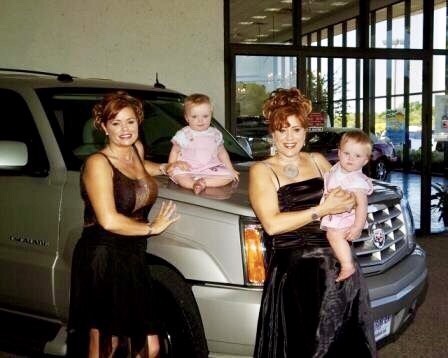 I even put my twin sister and twin grandnieces in one of my Escalade Ads. The caption? “Got a big family? 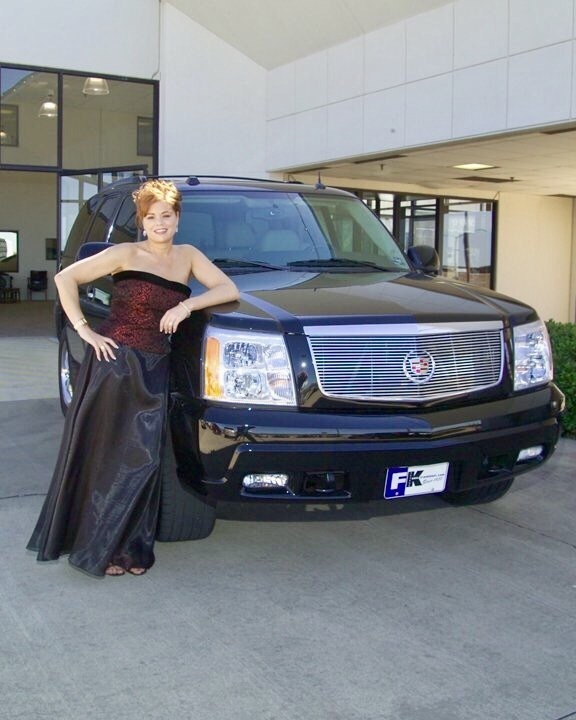 Get an Escalade!” With two sets of twins, I sold plenty of Escalades off that ad. 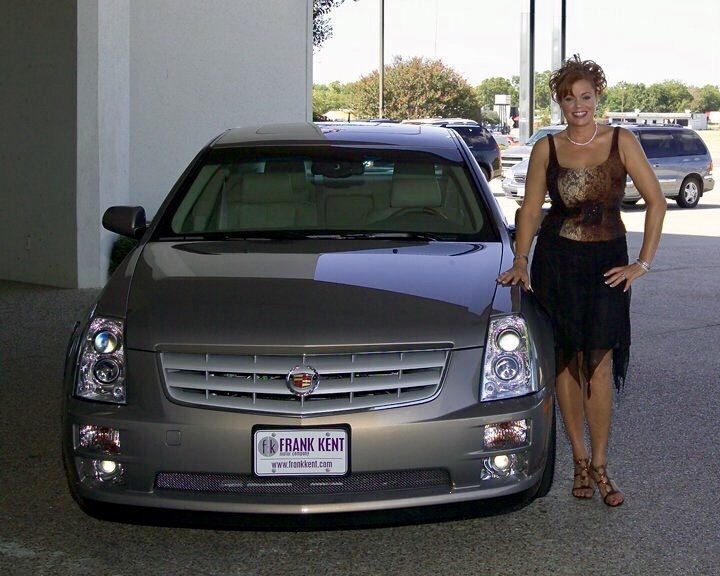 My ex husband couldn’t believe that by leaving me without a vehicle that I would find a way to not only get a free demo but also, exceed North Texas Cadillac’s sales. I’m a survivor. Survivors don’t have Silver Spoons or rich parents. Survivors are actually individuals who fly solo and are self reliant. Today’s generation of parents coddle their kids. They cannot understand why their adult children expect a free credit card or a new car for their 18th birthday. My first car cost $65 and was four different colors with upside down milk crates for seats. We were too poor for Cindy and I to take Drivers Ed so, I got my license at 14 and Cindy? At nineteen. If I had to slam the brakes, Cindy and I fell into the back floor. It took a bit to learn to steady myself by holding the steering wheel but, I finally did. I didn’t have parents or family to ask for help. Cindy didn’t either. Survivors SWIM. I SWAM FOR MY LIFE as a teen and as an adult. Cindy swam beside me. Together we weathered any storm and overcame any setbacks. Although both of my ex husbands had to tried to force me into running home by keeping my cars that weren’t in my name, they had both underestimated me. I wasn’t running home, I was effectively “figuring it out.” I don’t “fit in any box” because creative thinking has saved me over and over again. Success if it comes easy isn’t appreciated. Nothing in my life came easy but, survivors find a way to take their past and define their future. I did. My twin sister did too. I would NEVER have remarried either of my exhusbands. Cindy wouldn’t have either. In fact, my third husband had to work really hard to convince me to marry him. I’m good at a lot of things but I’m not good at being in a bad marriage. “Trust is like a broken teacup. You can glue it but, it won’t always hold water.” For me trust is a priceless commodity. 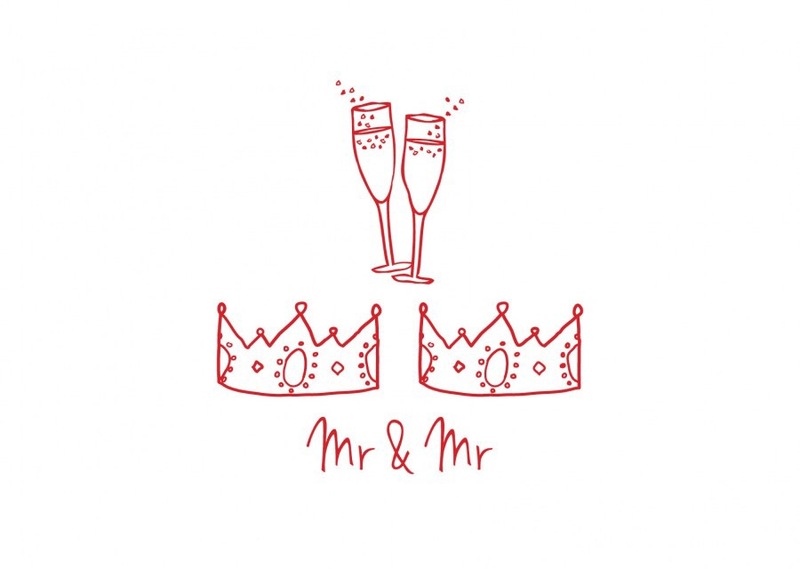 It’s rare for one of my Brides (or Grooms) to cancel their wedding but, it’s happened. In the “old days,” Divorce or the “D Word” was something far less common than it is today. It’s hard to hate someone you once love and although my divorces were painful, I never hated either of my ex husbands. I wanted them to go on and find love and remarry. I wanted them to find happiness. Sadly, a few months ago, my second husband died unexpectedly. I was deeply sorry to hear about it. My first husband has a girlfriend but, no plans to marry. Apparently, the divorce was as painful to him as it was to me. Why? Our son. We fought over custody for years. I couldn’t have another child and although I was willing to give up my home and anything else in the divorce to start over, my son was never part of the deal. The one thing I couldn’t replace was why our custody battle lasted for years. Now you know why I’m cautious about my clients especially if they aren’t sure about diving into the deep waters of marriage. If you have a rocky relationship, don’t think bringing children into it will solve your problems. Children need attention. If your marriage needs attention- you are forced to choose between your children or your spouse. Wait to have children until you feel your relationship is solid and stable enough to bring children into the relationship. For some reason that I cannot understand, couples running off to either get married or file for a divorce rather than work through their issues are often sorry about their decision years later but, not at the time they are digging their feet in. By “digging their feet in,” I’m referring to couples that everyone warned against getting married. Your friends or family saw the red flags even when you didn’t. Even if you choose to skip Counseling, take time to fully consider what a divorce will do to your children. My husbands father waited until his youngest child was eighteen until filing for divorce. In the “old days,” husbands often waited to leave their wives. This trend evaporated years ago. My husband felt guilty throughout his childhood for “being the only reason his parents stayed married” until he left high school. It was a heavy cross for any child to bear. The fact his parents told him he was the reason they weren’t divorcing put far more stress on Matthew than they probably realized and back then, no one went to counseling. Couples hid issues. My husband is fifteen years older than I am and even in the 60’s when our parents split up, divorce was unusual at best and controversial at worse. Divorces weren’t popular until the 70’s & 80’s but by 2000, more than half of all marriages ended in divorce. Shocking isn’t it? Filing for either of my divorces wasn’t a “rash decision.” I didn’t do so in anger. Why? I learned to never make decisions when I’m upset. If after ten years, you can’t make a marriage work- hang it up kid cause miracles are rare. By the time I realized my second marriage was failing and I was getting older, I didn’t have ten years to wait for a miracle and hung it up after 6 years. When you are younger, time doesn’t seem that important. When you are older, it actually is. I’ve pretty much been married most of my life as has my twin. She’s been married to Steve for 25 years and I’ve been married to Matthew for 12. Marriage is an investment of your life with someone else. Sometimes, the best years of your life are spent with the wrong person. Time is something that no one can replace. There are two Deal Breakers for me. Infidelity or Domestic Violence or Both. I’ve divorced twice over one or the other. I’m not sorry all these years later either. If I can’t trust you- I certainly can’t live with you. But, other Brides or Grooms forgive their ex and marry them over again? I don’t understand it. But, it’s not my choice. It’s theirs. I know many folks who are divorced and a few who threaten divorce. Sometimes I’m caught completely shocked and other times, I’ve most likely seen it coming. A few months ago while headed to a TDCJ Wedding, I was actually shocked to hear Britney say her husband had asked for a divorce. My thoughts on the controversial “divorce subject” were discussed in a previous blog. If you missed my “The D Word Blog,” here’s the link– The D Word- Strong Marriage Or Strong Personality? Marriage is both give and take. If you are only taking, your partner will quickly tire of giving. It’s a fact. 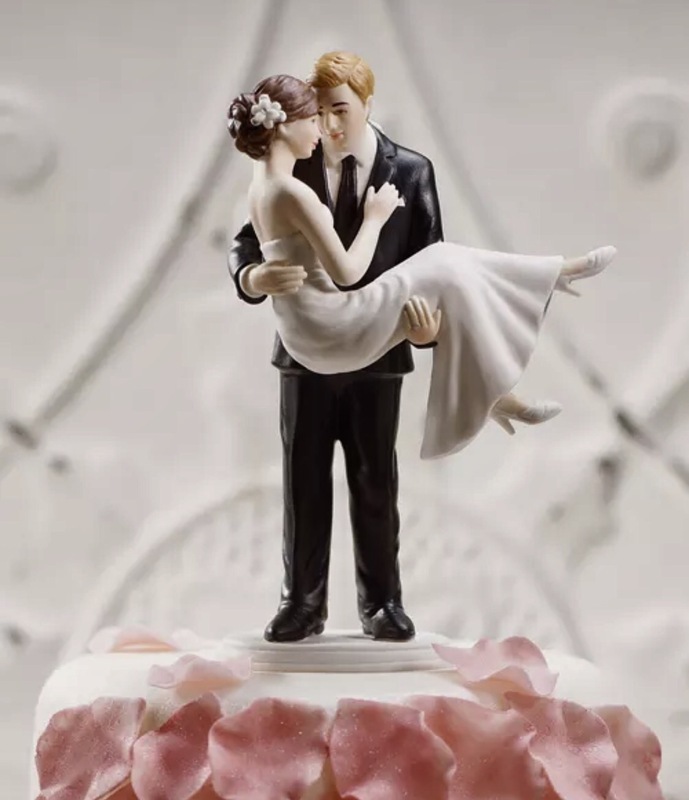 Why couples divorce to remarry later I have no clue but, it happens and I’ve officiated remarriages more than anyone actually realizes. Although I suggest Counseling rather than filing for a Divorce, a few of my previous clients were so strong willed that Counseling “wasn’t even on the table.” A few years ago, my Bride wasn’t exactly “warming up” to spending a lifetime with her fiancée. These things happen. They happen far more often when someone is unfaithful or untrustworthy. 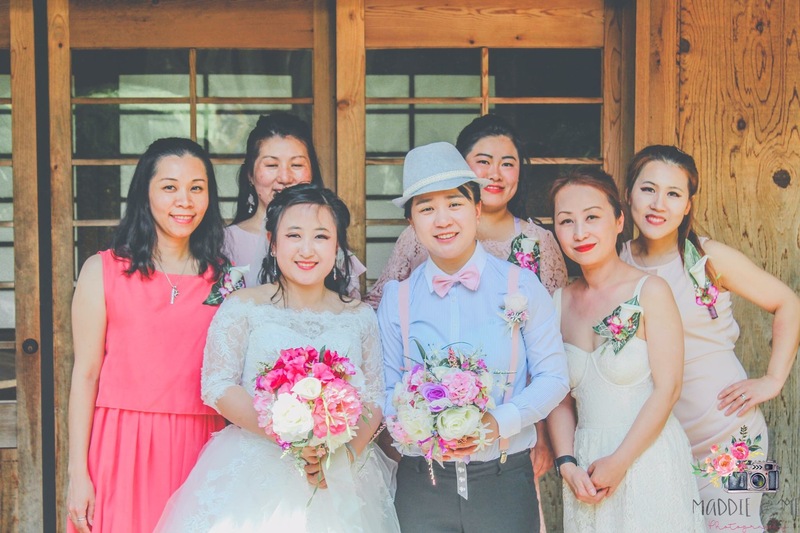 I invited my Bride to my home office at WorthamWorld to “discuss” my concerns about going through with the wedding when she felt strongly against it with not only the Bride but also, her sister and her mom. As a group, it was decided that my Bride would send letters to everyone on the guest list and call off the wedding. It was the right decision. Last year, I married her and her fiancée. Yes, she waited for Mr Right and finally found him. Patience pays off. Marrying someone is a far bigger decision than changing jobs or moving. 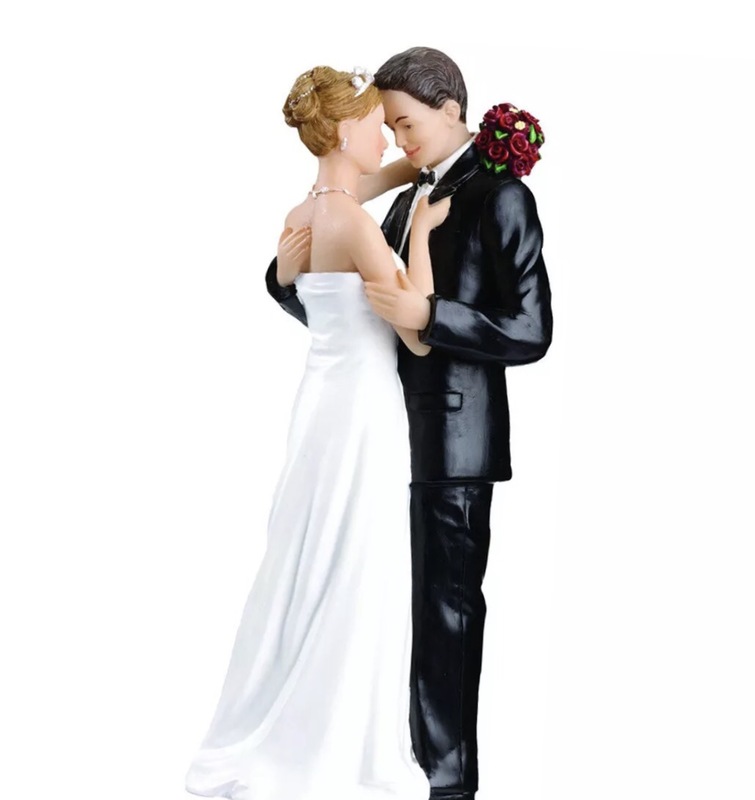 Marrying is a commitment that will cost you money and emotional damage if you choose to divorce. Marriage is a big decision that shouldn’t be entered lightly. If you have children during the course of the marriage, your divorce will be far more complicated. Last night while catching up on my email after a long day of Events in the pouring North Texas rain, I came across an email sent through The Pawning Planners pertaining to a Prison Wedding at TDCJ Robertson Unit. It’s unusual for me to review an inquiry for a TDCJ Wedding through The Pawning Planners as most Prison Wedding inquiries come through Texas Twins Events or, Texas Prison Weddings With Wendy Wortham. Nonetheless and anyhow, I responded to Kelly regarding her desperation finding an Approved TDCJ Officiant and her frustration at the process. There IS a Process to marrying at a Texas Prison. Permission is REQUIRED in order for a ceremony to take place AND a TDCJ Officiant is part of the process. 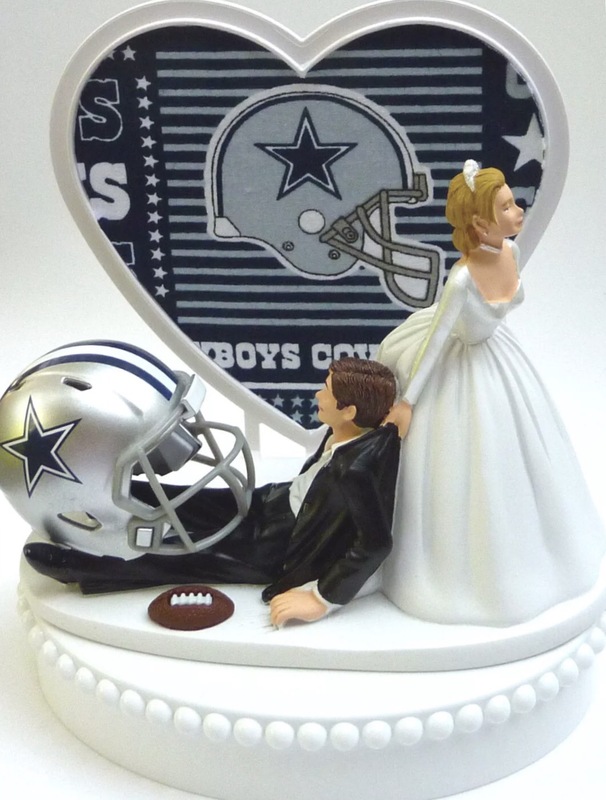 Texas has ONLY a handful of TDCJ Approved Officiants. I am one of them. For two years, I’ve married couples in State Jails, County Jails, and Federal Prisons. In order to address numerous weddings at the same Unit, Wardens and Chaplains “stack” my clients. What this means is that I arrive at 9:00AM for my first wedding ceremony and have 30 minutes for each ceremony before meeting my next client and Officiating her ceremony at 9:30 then 10 then 10:30, 11 and so forth. I can (and do) officiate up to 6 weddings at the same Unit on the same day for a number of reasons but mainly travel. I perform 10-15 Prison Weddings a month which doesn’t sound like a large amount of clients but, these clients are spread throughout the big state of Texas. While I’m normally only inside a Prison Unit 1-2 hours, the amount of time getting to and from a Unit is what takes the most time. Money is one of the primary reasons for Divorce. Husbands and wives alike “on the outside” have a tremendous financial burden when choosing to marry an inmate. As a Premarital Counselor with Two Together In Texas, I can assure you that any person I’ve married at a Texas Prison was well aware of what they were doing when choosing to marry an inmate. I’ve never “talked anyone into marrying an inmate.” In fact, I’ve talked a few clients out of it. I’m stacked at Coffield Unit on 09-11-2018 and, my last Coffield Unit Bride gave her convict the boot. To find out why, read the blog– Cold Feet At TDCJ Coffield Unit. 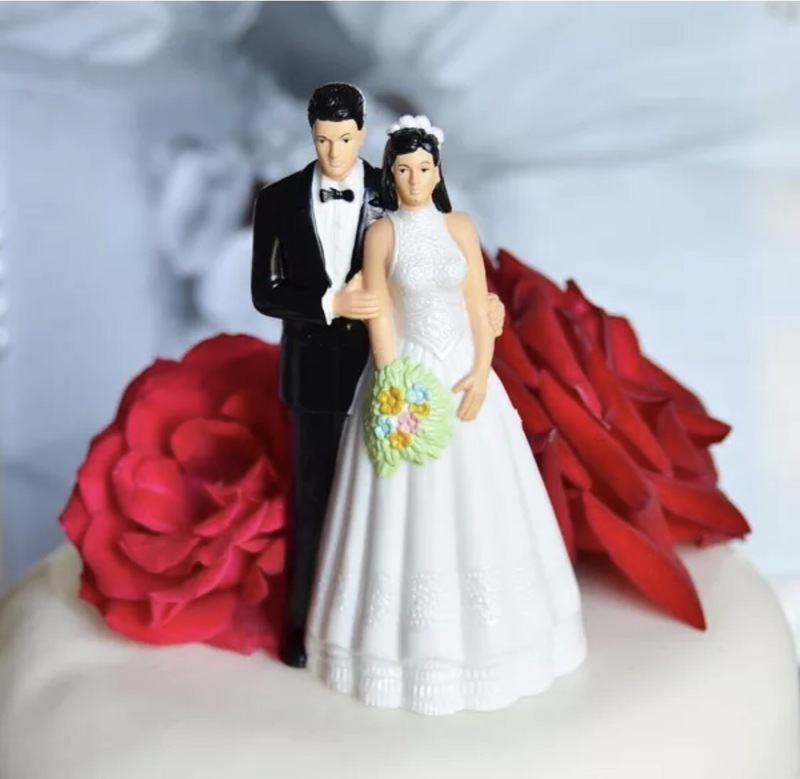 Now and then, a Bride or Groom are simply “giving up too much to make a marriage work.” It’s best to learn this early as opposed to later in the relationship. Most Units are a minimum of three hours from my location. Since Monday- Friday I’m at Texas Prisons, weekends are spent handling “traditional clients.” I drive thousands of miles each month. Traveling is part of my job. There are cities of Prisons in Texas. Tennessee Colony and Huntsville both house numerous Units. Because of this, it’s not unusual for me to be at one Unit in the morning and yet another Unit by Afternoon. In fact, it’s a regular occurrence for me. Whether you are an LBGT Couple, Interracial Couple or Traditional Couple, Prison Marriage isn’t an “easy path.” You will be lonely and saddled with expensive phone calls and travel to see your spouse on weekend visitations. You will give up certain advantages of a “Traditional Marriage” and you will either make it to the other end of the rainbow or not but, the “work” put into your marriage will fall on your shoulders during the time your spouse is incarcerated. I will be traveling to TDCJ Polunsky Unit AKA Death Row for a wedding with a Bride who realizes the Honeymoon of marrying a Death Row Inmate is Non Existent. Regardless of my concerns, this Bride is looking forward to marrying “the love of her life” although the Prisonwrs own life is on “borrowed time.” Death Row Weddings confuse me. 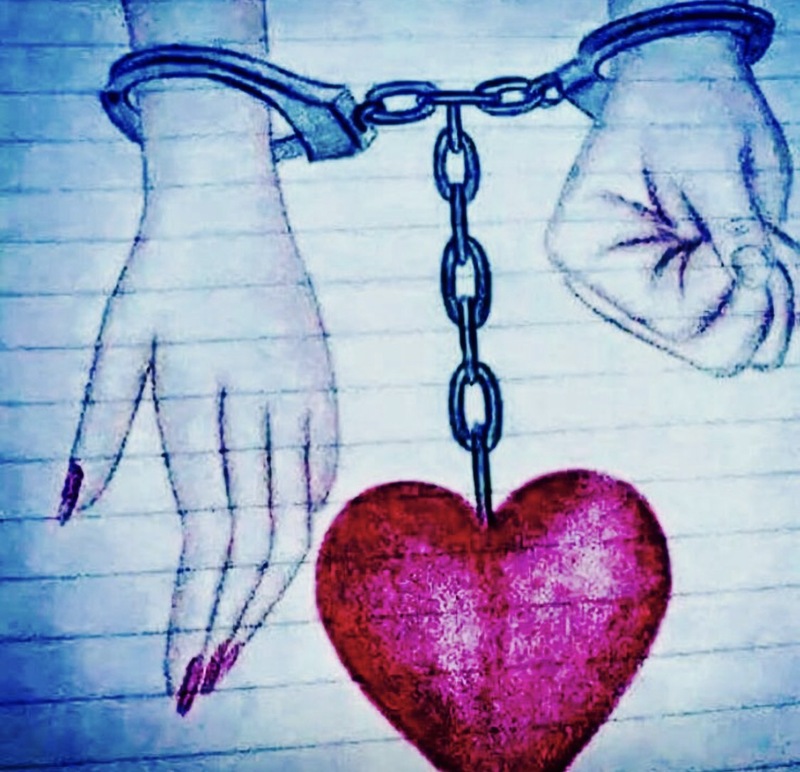 I don’t understand why anyone would marry someone who will never make Parole. It seems like a Tragic Ending from the start to me but, I’ve been unsuccessful at “talking anyone OUT OF a Death Row Wedding.” I’ve tried. I don’t choose my Clients because they choose me. If you go to Walmart, no one there is going to ask who you are married to or where you work or even your Religious or Political Affiliation. I don’t ask either. Your choices are decided long before you hire me. 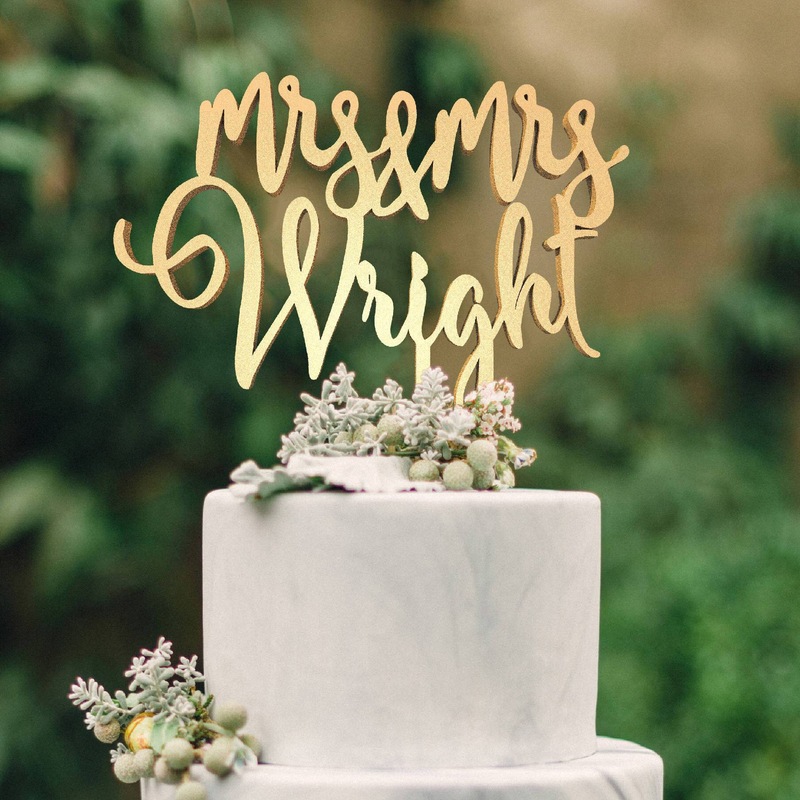 For those of you hiring myself or my Team to handle your Event Service, whether you bartered through The Pawning Planners or booking through Texas Twins Events or Texas Prison Weddings With Wendy Wortham, exceeding your expectations is our specialty. So much so in fact that I haven’t advertised in years due to our referral business. 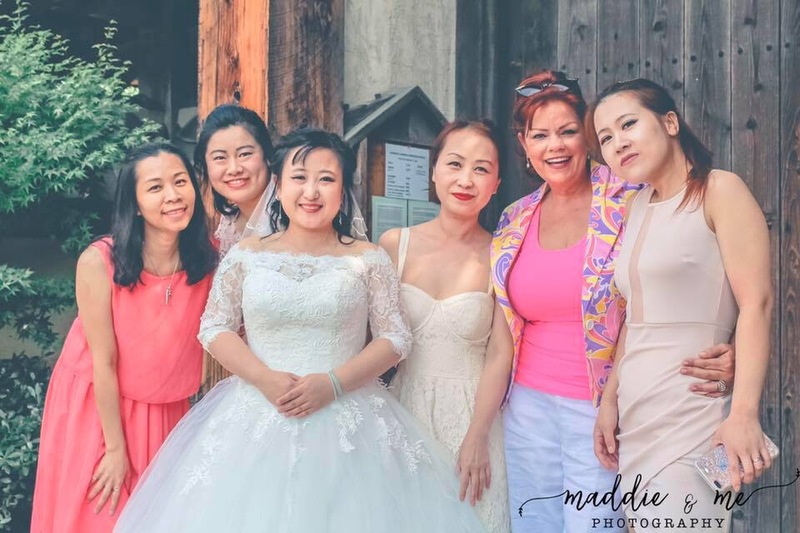 My multigenerational family and I welcome any client from any diverse background. Half of all clients from all Wendy Wortham businesses are LBGT. We were “friendly” long before anyone else was. Cindy and I will be traveling the next few months for Destination Weddings in California, Oklahoma and Arkansas. Due to our schedules, TDCJ Weddings in October are somewhat limited to my availability. I’ve had questions regarding Lock Downs at Units. 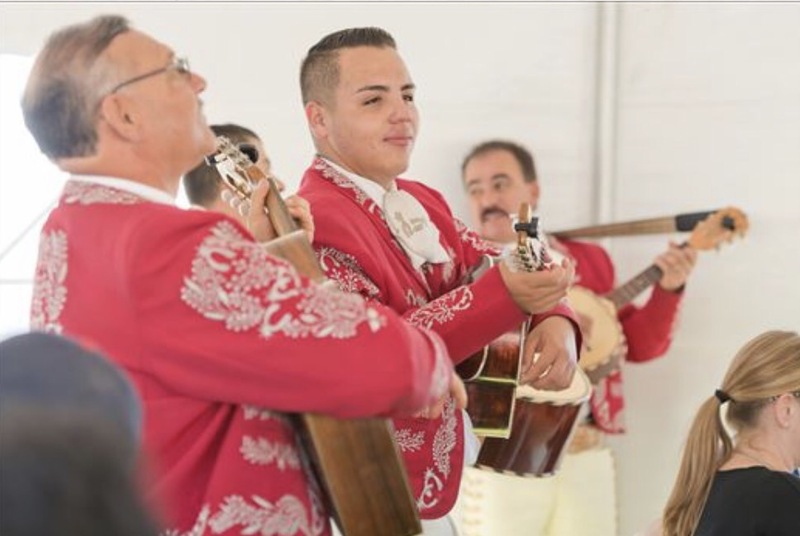 If a Unit is Locked Down, no wedding ceremonies are scheduled until the Lock Down is lifted. Once lifted, the I60’s filed first are effectively, scheduled first. Do not hold off filing an I60 if there is an active Lock Down or your marriage ceremony will not be Approved until all of the other previous applications have been scheduled. 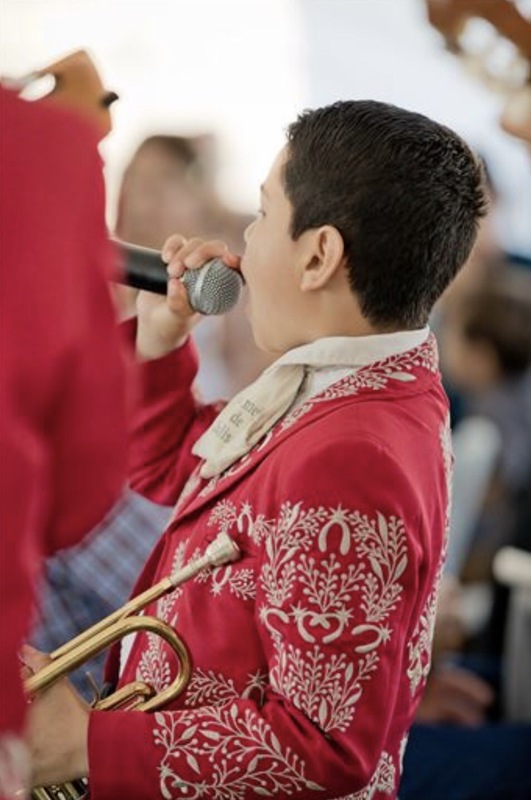 Event Photography is a courtesy for both TDCJ Clients AND Pawning Planners Clients. Texas Twins Events Clients pay for Event Photography and can purchase a CD of ALL PHOTOS for $25. We DO NOT COPYRIGHT Event Photography. Why? I don’t believe in charging people for their photos. 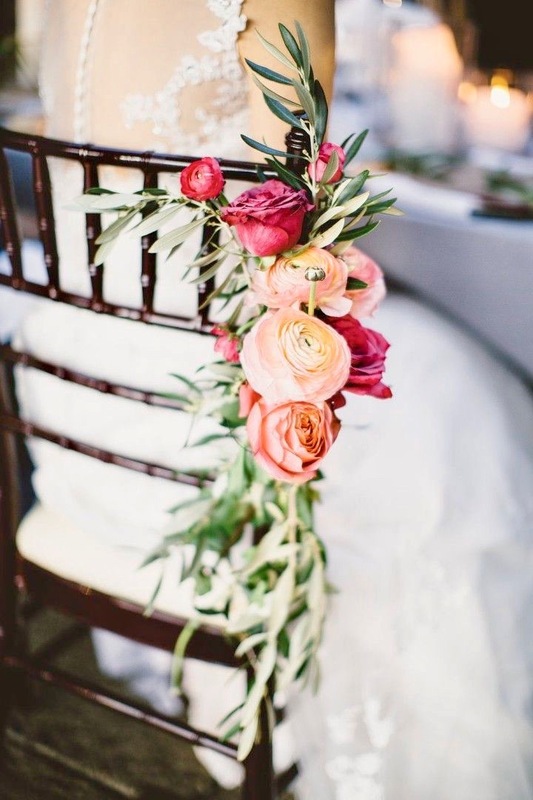 Loaned Inventory- Property Of Wendy Wortham… Bouquets, Bouteniers, Cake Trays, Centerpieces, Tables, Chairs, Ring Pillows, Flower Baskets, etc. are loaned as a courtesy to BOOKED CLIENTS of Texas Twins Events, The Pawning Planners or Texas Prison Weddings With Wendy Wortham at the discretion of Wendy Wortham. Meaning, if you haven’t hired myself or my staff in some capacity, WE DO NOT LOAN INVENTORY OR PROVIDE COMPLIMENTARY PHOTOGRAPHY to strangers. Due to the number of phone calls, emails and text messages requesting free services or borrowing inventory from Texas Twins Treasures, if you aren’t a client, I will not loan inventory or provide free services to you simply because you’ve asked. I created The Pawning Planners SPECIFICALLY to address requests for FREE SERVICES. If you cannot afford to pay for services, you can Barter your Event Request. Only AFTER an Appraisal Appointment will a request for Free Services be granted. Why? We want to see where you live and whether you have anything of value to Barter or, if you are truly needy. WE ARE THE ONLY EVENT BUSINESS that SPONSORS FAMILIES at our own expense based on their story and, their situation. If you qualify for a Sponsored Event, your Event will take place within the DFW AREA. We DO NOT SPONSOR FAMILIES living outside Dallas/Fort Worth due to travel expenses. Loaned Inventory helps our Clients photos and Event looked “pulled together” and saves them the expense of providing these items themselves. These types of requests are “NOT our LUGGAGE and, NOT our TRIP.” If you can afford a venue, you can afford to pay for photography. Our Photography fees are $75 an hour and FAR BELOW our competition. “We can’t afford a band and want entertainment. 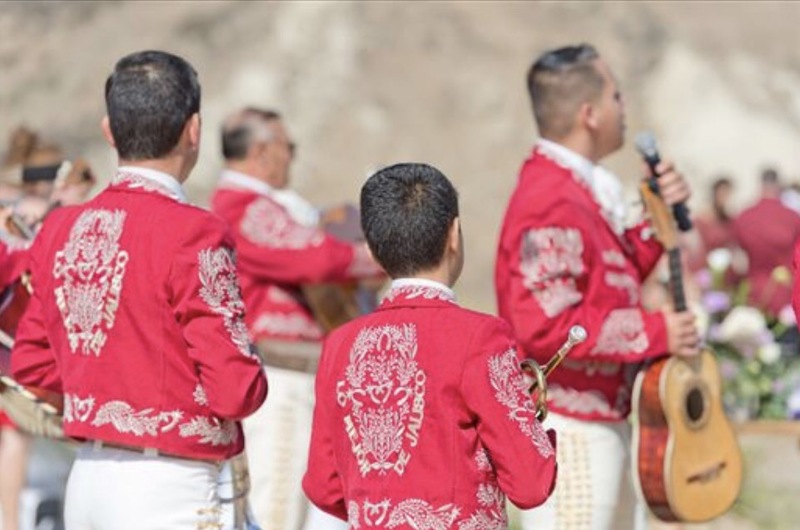 We need you to send a band or Mariachis to our Wedding.” Any Event we’ve worked that had a band or Mariachi was paid by the client. We DO NOT PROVIDE free entertainment. No one does. Please be reasonable as either a Prospect or a Client of ours before contacting me because you “heard we help people.” We do. But, the people we help are putting some effort into the process. My family and I have a reputation for “helping people” because these people went through an Appraisal Appointment or booked myself and my staff for their Event Services. When I choose to Sponsor a family, my decision to do so is based entirely on their particular situation. They’ve met Cindy and I at an Appraisal Appointment and they’ve explained why the service they are requesting is important to them. Sales from Pawning Planners Apparel as well as Texas Twins Treasures fund sponsored families. Sponsored Events are as different as the people requesting them. From Rent Parties to Birthday Parties, Memorials, Baptisms, House Blessings and more, there have been a few surprising requests such as emptying a storage unit because the client could no longer afford it or even fixing a fence because someone else couldn’t afford to repair the fence themselves. I don’t “limit” requests and never have because what’s important to one person may not be to the next person. Based on the need and what the request will cost, I make my decision to either “help” or find a solution for these families. “If you hadn’t helped me no one would. Why did you care?” I cared because my twin and I had no one to help us. I cared because I understand what struggling is. 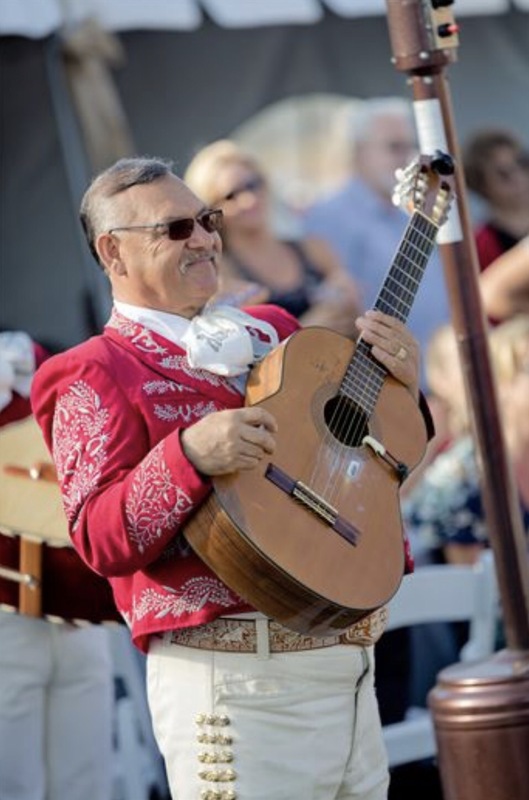 My goal when creating Texas Twins Events was to make Event Services affordable to ANYONE. It never occurred to me that people with no money whatsoever were out there but, they were and, they found us. To solve this unexpected realization, I merged Texas Twins Events and Texas Twins Treasures to create The Pawning Planners. My family and I became literal Friends of the Friendless. The people “we help” came to us for help. They didn’t hire someone else. They often had no one else willing to help them. Pawning Planners Clients had no one to help them. No friends, no family and often no money to hire anyone else. 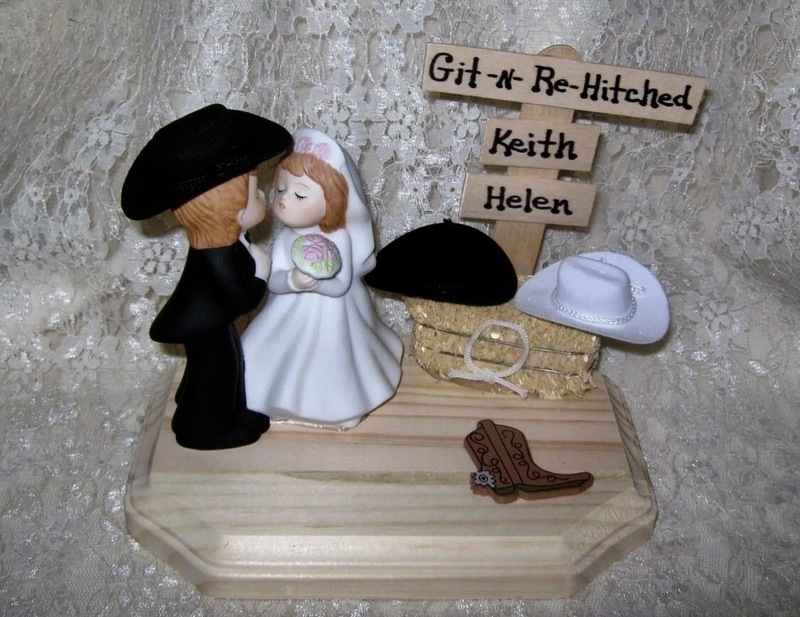 Perhaps because Pawning Planners Clients didn’t appear as polished as Texas Twins Events Clients, a few people assumed that we only helped hillbillies but, ignorance speaks without any forethought. All of my businesses are effective melting pots of different races, different incomes, different political views and even religious preferences. My family and I try to help anyone but, if you are asking for a “hand out” as opposed to a “hand up” then you don’t realize what we set out to do and how we came to the rescue for folks that had no one else to ask. Our reputation of “helping people” is because we care and we listen and we try to find solutions when faced with unique situations. If you’ve hired the wrong vendor, you might ask for a refund and then come to us for help. A few TDCJ Clients come to me AFTER they made the mistake of hiring someone else. Be careful who you choose for your Prison Wedding. 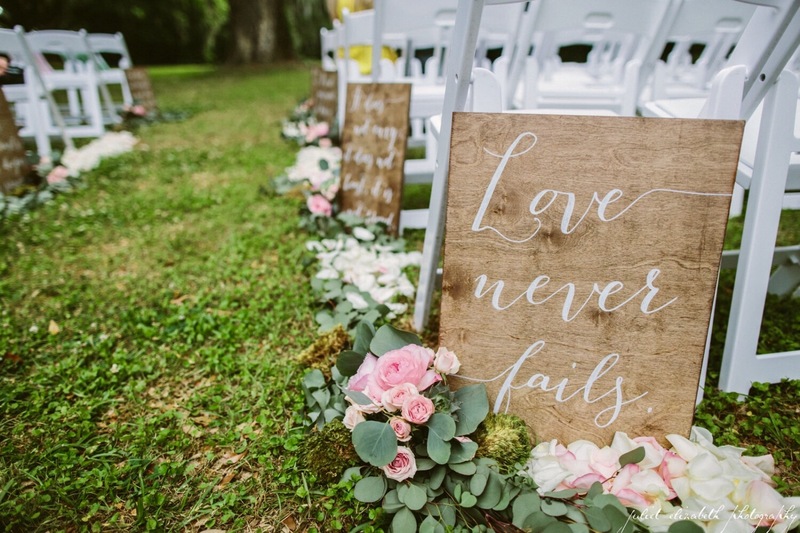 You need a reliable Officiant who cares about your journey and wants to make your Event special regardless of how “different” it may be. I’m “that” Officiant.